Back in 2012, I wrote an article about games being made into movies; essentially, a look at the good, the bad, and the ugly. The successes have vastly been outweighed by failures. However, I never fully delved into games I thought should be made into movies. Although most developers aren't interested or are unwilling to risk failure, there are plenty of titles out there that people like me wish were made into movies. Here are just a sample of a few movies that may one day make it to a theater near you. To be honest, no one does it better than Blizzard when it comes to cinematics. Time has only improved graphical capabilities and made the action look better and more believable...which is why now more than ever, Blizzard should consider making a movie. Not only do they have the graphical technology to make a visually stunning movie, but they also have the scripts ready to go. Granted, the biggest issue Blizzard would face is finding the time and the money to develop a feature length movie. Doing all that CGI would take a long time and a lot of money. But there is no doubt the payoff would be huge in quality and popularity. Although the graphics aren't the best compared to other games, Assassin's Creed has some of the best storytelling. Though fictional, it's historical tie-ins keep the game intriguing. To me, Assassins are cool in and of themselves. Add to that they are fighting against the Templars for control of humanity and, well; you've got a pretty interesting story. In fact, after a while, it's hard to tell who is right and who is wrong. Not that necessarily either group is more so in the right than the other. It really just depends on your point of view. In any regard, a movie delving into the origins of the groups (pre-Assassin's Creed) would be fascinating and perhaps clear up (or further convolute) why this all began in the first place. The twisted and unique story of Bioshock is definitely worth putting on the big screen. It's mix of nostalgia and dystopian thrills combine for a conflicting adventure of wonderment and fear. Sometimes, you just want to sit and admire the scenery and the little details, but this is either not possible because there's a big daddy nearby trying to punch a hole through your face or ends up adding a whole lot of time to your game play. Don't get me wrong, that isn't a bad thing, but it can be boring after a while. With a movie, the story is always moving forward, with a few well deserved pauses to enjoy the peace and quiet before having to take on the next big challenge. I've never been able to finish a Bioshock game. Perhaps a movie is the closest I would ever get. This one has been tossed around for years. Of most the video games out there that haven't been made into movies, this one is the most likely to become a movie eventually. The survival of humanity is always a fun premise in movies. Who better to take on the challenge then our good old buddy Master Chief? Although the game series is a bit simplistic in its linear game play and the fact we believe there is no possible way Master Chief can ever die, people can still enjoy rooting for a hero to fight off those pesky aliens who want nothing more than for us to be extinct. Speaking of, why can't we ever meet a friendly alien race for once? Whatever happened to live and let live? But I digress. Joking aside, the Half-Life series remains one of the greatest gaming titles ever released on PC. And why not? With good graphics and an intricate story, the game has left the community wanting more. Seeing how Half-Life 3 is perpetually up in the air, now would be a great time to have a movie to fill in the gaps. 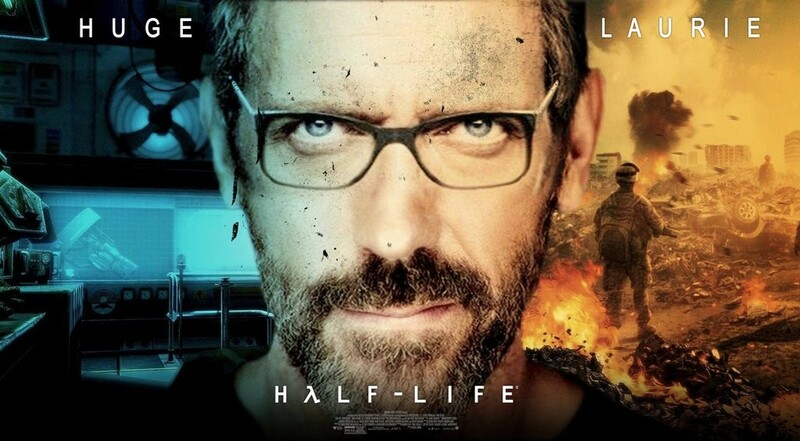 Even so, adapting Half-Life into a movie would take careful time and consideration on the part of Valve. They don't do things any other way. But that's alright with me. Taking the time to develop a new project pays off...even if you have to wait a long time. A short and sweet game, Mirror's Edge is very simple. It deals with a society that has cracked down on crime, vices, and dissent. In turn, life is comfortable, yet completely lacking in liberty. Enter free runners who spend their time travelling from rooftop to rooftop, delivering messages and items to people unable to use any other means to communicate or receive packages. While graphically beautiful, Mirror's Edge has an interesting story, one which serves as a warning to those who would suggest that the safest society is the best kind of society. To be honest, I haven't played all the way through Mass Effect. However, I have read up on the storyline, watched a fair bit of game play, and know the general gist of what is at stake. From only that, I know it would make a great movie. Somewhat in the same vein as Halo, Mass Effect tackles a space-based adventure with the survival of the universe at stake. The only thing preventing that is Commander Shepard, a human spectre. Survival stories are always thrilling and, especially in the case of Mass Effect, very in depth when it comes to character and plot development. Well, there you have it. Just a few popular titles I think would make for great movies. Although it's hard to say if any of these will ever become movies, the point is one can dream can't they? Games can be movies just like anything with a story can be a movie. All it takes is consideration, time, and investment. The biggest thing we've learned with doing gaming movies is that they have to be treated like any other movie or sequel in a game series. Quality above all else. If it's not worth doing right, it's not worth doing at all. What are some of your favorite games that you think should be made into movies? Feel free to share what you think or comment on some of my choices. I wouldn't mind watching a new live action super mario movie. Also a mass effect wouldn't work out. With what the ending of the 3rd game was like..... it would be like reading a book when you know there is a crappy ending.